The oldest of Bordeaux's Grands Crus, Château Haut-Brion has a rich heritage born from five centuries of history. Founded in 1533 by Jean de Pontac in the territory of the Graves, the wine of Château Haut-Brion was coveted and appreciated by the greatest monarchs in Europe early on. In 1663, Samuel Pepys, a member of the English Parliament, unknowingly participated in the success of Château Haut-Brion by writing in his journal, "And there, I drank a kind of French wine called Ho-Bryan, which had a very nice and particular flavour that I had never tasted before..." And so, a legend was born. Château Haut-Brion obtained the rare First Classified Growth title in the 1855 classification, becoming a Premier Grand Cru Classé of Médoc and was also recognised a Classified Growth of Graves in the Graves Official Wine List of 1959. A veritable jewel of the AOC Pessac-Léognan, located in the heart of the Pessac agglomeration in the Bordeaux region, Château Haut-Brion enjoys an exceptional terroir, with soils composed of multicoloured gravel, which make for sumptuous, elegant wines that are incredibly consistent from one vintage to the next. When safely guarded, the wines of Château Haut-Brion open discreetly, allowing new aromas to emerge after aeration (chocolate, roasted notes, cedar). On the palate, the tannins reveal a power and a surprising length. An exceptional wine, Château Haut-Brion's Grand Vin is destined for a remarkable ageing potential, blooming superbly over multiple decades. The Château Haut-Brion Second Wine is named Clarence de Haut-Brion in honor of Clarence Dillon, who purchased the Château in 1935. This wine presents all the characteristics of the Grand Vin but with a more accessible approach, allowing the taster to appreciate the full extent of its personality earlier on. The unique character of Château Haut Brion is expressed also through a white wine. Extremely limited in production, the Château Haut-Brion White is Bordeaux's most sought-after dry white wine. Derived from a blend of Sémillon and Sauvignon Blanc, the Château Haut-Brion White offers the fantastic aromatic fullness of a sweet wine in a dry white format. With a great concentration, amplitude and an atypical length, this wine is defined by its unique style. 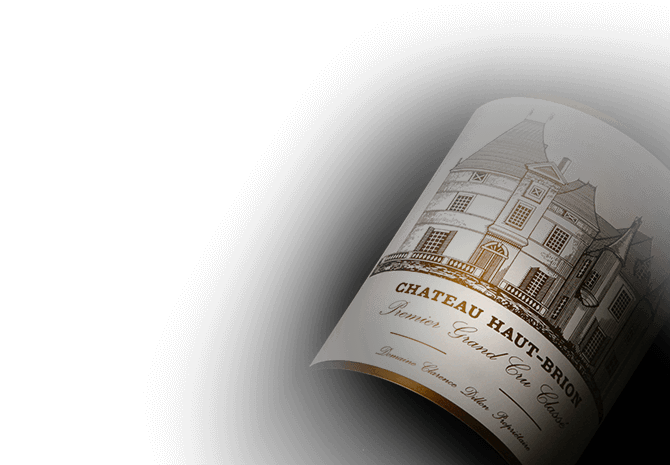 Second White of Château Haut-Brion, the Clarté de Haut-Brion is a rare wine both in terms of its composition and its production. Made from a blend of the second wines of Château Haut-Brion and of Mission Haut-Brion, the Clarté de Haut-Brion offers the perfect opportunity to discover the expression of Sémillon in a dry white wine that will seduce the taster with its freshness and complexity.